Nalisha Adams, based in Johannesburg, manages a network of writers who often work under dangerous and traumatic conditions with limited resources across Africa, Asia and the Caribbean. She leads the IPS team in reporting on development, focusing largely on the Sustainable Development Goals and human rights issues. She joined IPS in 2009 as a thematic editor, reporting to the regional Africa editor, before taking on the role as Africa editor. She was previously an assistant editor of global markets research at Standard Corporate and Investment Bank. Prior to that she was a senior journalist for a number of years at South Africa’s daily newspaper The Star, covering various issues including gender, hard news, HIV/AIDS and crime and justice. In 2003 she won the Mondi Shanduka Award for best feature story and story of the year for “A Fall of Sparrows”, a narrative on HIV/AIDS. The story tracked the lives of two HIV-positive women living in a South African township. Nalisha has an honours degree in journalism from the University of the Witwatersrand. 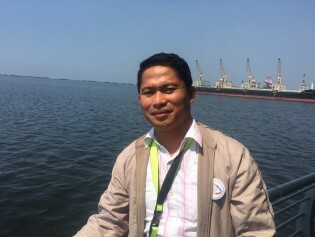 When Ariel Lazarte from Quezon City, Philippines, was first diagnosed with leprosy in 2014, his life seemed as if it were falling apart. But now more than four years later Lazarte’s life is a huge contrast from the poverty and isolation he experienced as a person affected by leprosy. Eleven years ago, Raloke Odetoyinbo had been married for two years and a month when she found out she was HIV positive. In rural Mozambique, increasing numbers of families are growing their own food and lifting themselves out of poverty. Civil society in Kenya has urged the International Monetary Fund (IMF) for greater representation within its decision making boards and the formation of a dispute resolution body.